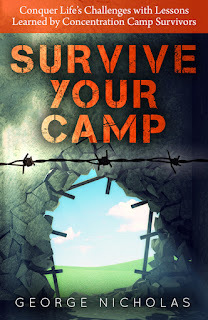 It is now a year and half since I launched Survive Your Camp. The time has been a continuation of previous life with some victories and many difficulties. I did not have the time to promote Survive Your Camp as much as it deserves to be promoted. Recently a friend told me that she had given copies to a friend and her brother and they really appreciated the advice in the book. More people could benefit if they have the opportunity to read it. So I am relaunching Survive your Camp. I will speak to any group and any radio station to promote Survive your Camp. Send an email with contact details and I will contact you to arrange my talk. Following is the story of the book.